Ambergris Caye, Belize, May 20, 2016	(Newswire.com) - ​Named as the #1 Island in the world twice by Tripadvisor.com, Ambergris Caye, the largest and top tourist destination in Belize, helped the Caribbean open its arms to 7% more tourists last year. According to World Tourism Organization, the growth was higher than every other region and nearly doubles the 4.4% global average tourism growth in 2015. Being the #1 Island in the world two times in a row is such a great honor for Ambergris Caye. The Island offers the ideal blend of modern development and slack harmony. It keeps visitors coming back year after year to enjoy the sun, sea and air of the island. In the first quarter of 2016, Belize became the fastest-rising destination in the Caribbean. BTB quarterly report shows that the number of tourists visiting the country continues to rise. Ambergris Caye's tourism industry maintains the authenticity of its attractions. Real estate in Belize, particularly Ambergris Caye, provides important benefits for economic stability. Investing in a real estate property in Ambergris Caye could be the smartest decision you will make as an investor. Foreign buyers or investors in Belize are given the same rights as Belize citizens. Real estate property in Ambergris Caye is reasonably priced for purchase or rental compared to similar property all over the Caribbean. Investing in real estate in Belize is free from any racial tensions, out-of-control crime and everyday pressure. It has a long tradition of private property rights for everyone. Belize allows everyone to connect to rest of the world. Belize has stable telecommunication and efficient postal offices for those seeking to work remotely. According to Caribbean Tourism Organization, the Caribbean is considered a zone of tranquility when there are issues overseas. The Caribbean islands are a chain of 7, 000 islands that widen around 2,000 miles between the Gulf of Mexico and the coast of Venezuela. The territories in the Caribbean region were settled by the Dutch, English, French and other European Countries. Most of the island economies in the Caribbean depend on upon the tourism and their real estate development. 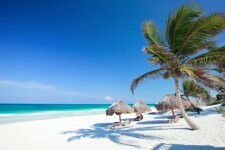 Ambergris Caye is the largest island in Belize and the main destination for travelers in the western Caribbean nation. It has been the center of the maritime trade of the area for centuries. Ambergris Caye is the travel gateway of Belize. It has beautiful beaches, mild weather, and colorful sunsets. Ambergris Caye also possesses an amazing coral reef system: the second largest in the world. The reef lies on the east of Ambergris Caye shoreline. Ambergris Caye is home to a wonderful selection of plant and animal life. People in the area are a mix of ten different culture including East Indian, Mestizo, Maya, and Creole. These people from the different cultures will welcome you with their amazing hospitality. This is the best place to relax and change anything. Holidays in Ambergris Caye have unique ways. You can explore the Belize cultural scene by visiting art galleries, museums, and old-fashioned shops. You can also pick some souvenirs, chocolates and island art for the resentful folks you left from home.